Bowen Island offers an idyllic escape from the hustle and bustle of downtown Vancouver. Located just 25 km northwest of Vancouver, the tiny island is only 6 km wide and 12 km long. With that being said, what it lacks in land mass in makes up for in charm. With its positively adorable harbour, the island greets visitors with picturesque eateries along its waterfront boulevard. Indeed, Bowen provides a serene seaside sanctuary that is extremely accessible from the mainland. In fact, visitors may take a short, 20 minute ferry ride from Horseshoe Bay in West Vancouver. Alternatively, they may take a 45 minute water taxi from Granville Island. While Bowen is beautiful, it also offers a plethora of fun activities. Popular marine activities include kayaking, sailing, snorkeling, scuba diving, paddleboarding, and whale watching. 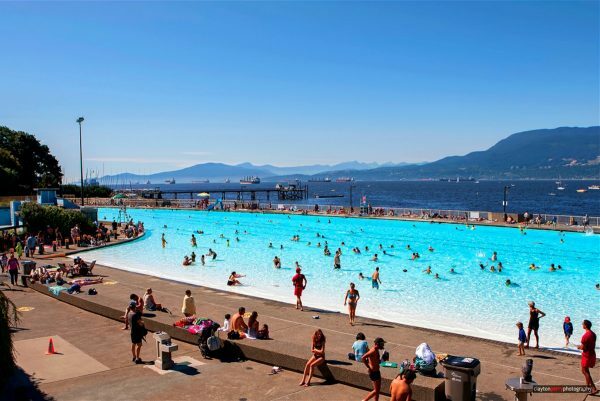 Aside from those, people also enjoy wading in the water, swimming or simply suntanning by the water. Of course, the island is lovely on the water; however, the land is also fun to explore. As a result, people like to rent scooters and breathe in the island air while taking in the sights and sounds. In addition, there are a number of hiking trails to take during your visit, and the island has yummy ice-creameries to reward yourself with after the exercise! For those staying longer, the island offers comfortable accommodations that offer a range of amenities including spa services. What’s more, you can arrange a tour of the island to get the most of your stay, or visit one of the museums to learn about the island’s fascinating history. Looking for other incredible holidays in BC? Check out this incredible floating lodge that allows you to view grizzlies up close and personal! Also, be sure to check out this luxury cabana resort in the wilderness.